Too auto and four wheeled drive. You've got the best diesel 3. ...or a Alpina D3 Touring! Its a shame they didnt do the 335 in a manual. Didn't have a box strong enough for all those NMs! ...at least not one they were willing to warranty! looks absolutely awesome! new exhaust set up will do favours for it. Just ordered genuine BMW Performance Alcantara gear gaitor and gear stick and the Alcantara handbrake handle and gaitor. i want to do rear tailgate, exhaust and rear diffuser next. thats the back end complete then. When you planning on doing all that? 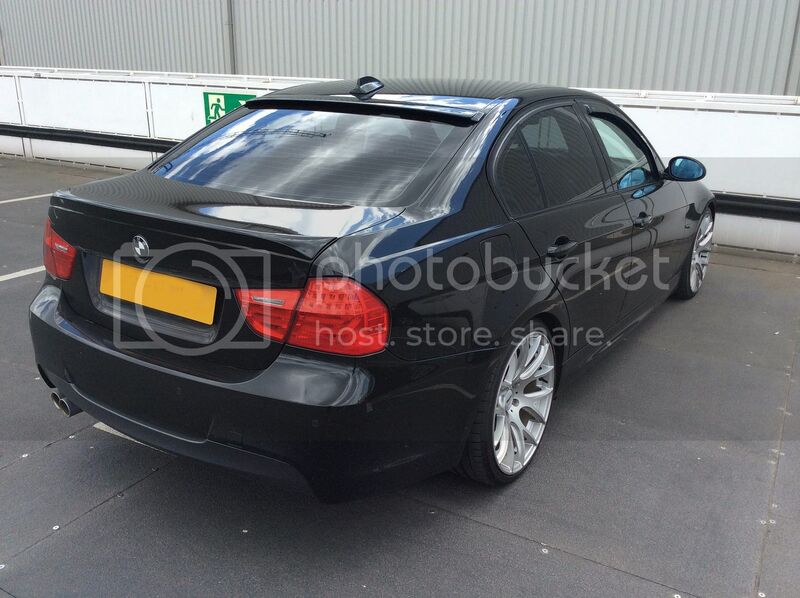 might opt for one of these for now as £800 for the CSL tailgate is way off yet. Can get one of these smaller tailgate spoilers for £80, painted and posted. Just found out that DPF removal on Diesels are now an MOT failure ! Thats a bugger cause these seem to react well to the removal of the DPF. Wonder if i can bore one out so it looks like its still there for MOT purposes ? decided to ditch the older E90 rear end look and opted for the newer LCI rear conversion. picked up the rear tailgate and lights for a decent price. Will fit over the weekend. Genuine tailgate, rear spoiler and led rear lights fitted. Gives a much more modern look as these are on the 2012 saloons. Just need the rear lights coded as the indicators are blinking like when you have a bulb out. The car doesn't pick up the led voltage drop.